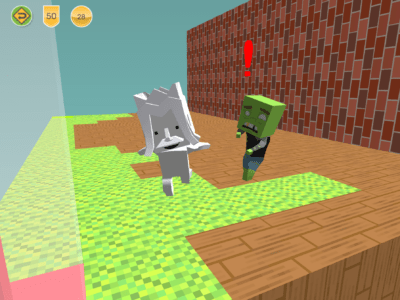 Considering buying a 3D printer for your primary school, elementary school or middle school? 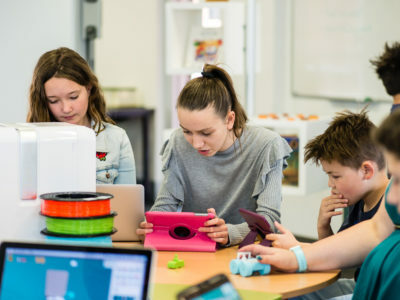 Wondering how to choose between the best 3D printer for your school from the dozens of 3D printer options for schools? 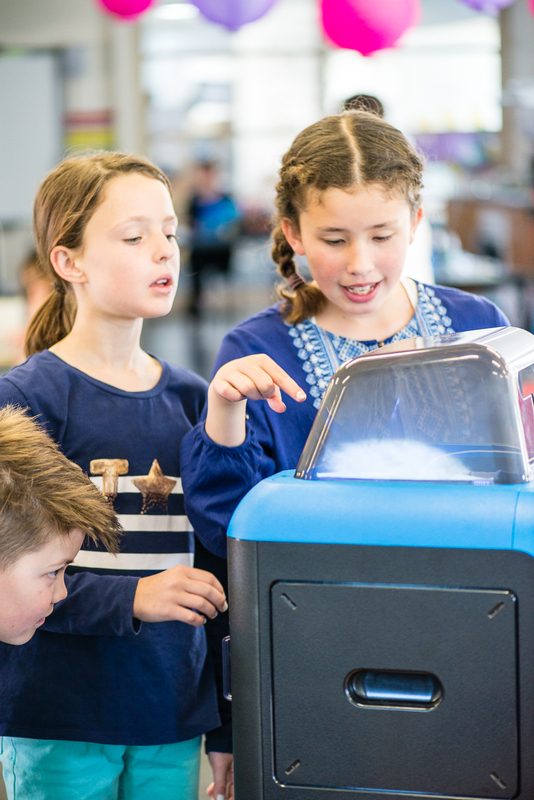 Not sure what you should be looking for in a 3D printer, but knowing that you need something affordable, reliable and durable for your school? 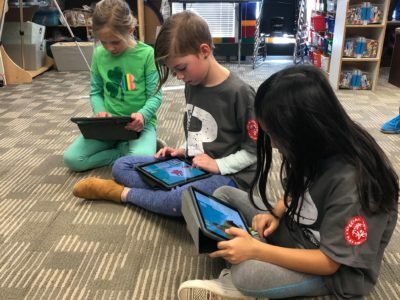 At Makers Empire, we’ve helped thousands of K-8 teachers in America, Australia, Europe and Asia integrate 3D printing and design into their teaching practice. 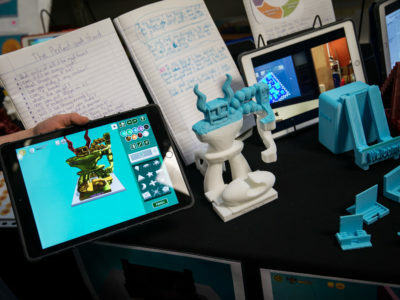 Our 3D solutions for schools include our easy to use Makers Empire 3D software, professional development for teachers, over 130 curriculum aligned lesson plans, training, ongoing support and more. In response to demand from teachers, we now offer bundled 3D printers, printing filament, hardware training and support. 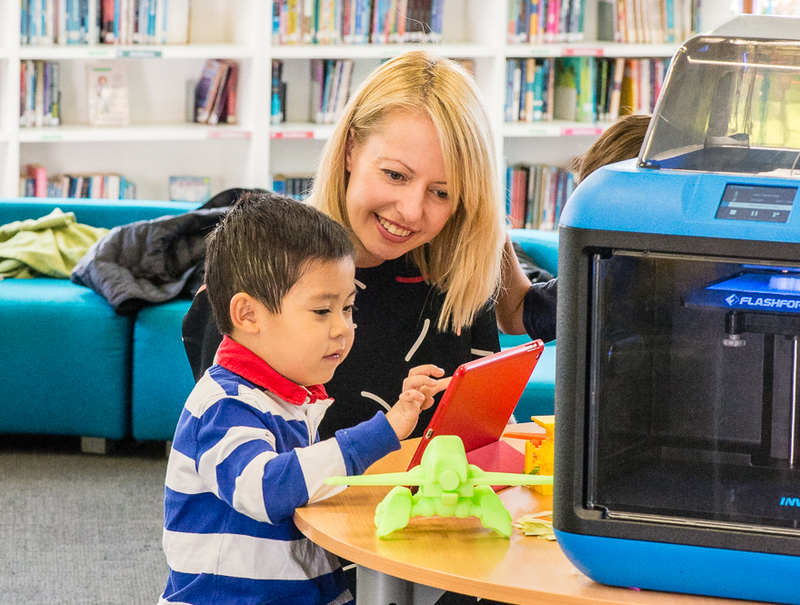 To ensure that we only recommend 3D printers that are suitable for a school environment we regularly test 3D printers for weeks and months. To date, we have tested over twenty widely available 3D printers. In this review, we’ll take a closer look at the FlashForge Inventor IIS. If you’ve used printers like the UP Mini 2 or UP Box+ 3D printers before, you’ll notice many similarities with the Inventor IIS printer. The Inventor IIS printer is promoted by FlashForge as a “smart, reliable and safe desktop 3D printer” and we’d have to say that we agree. In fact, we believe it is currently one of the best 3D printers for primary, elementary and middle schools. A removable cover on top reduces noise pollution from the printing process. Indentations on the sides make for small handles for easy transportation. The inside is easy to clean. Enclosed chamber stops anyone from getting too close to the moving parts, which are usually hot, reducing the risk of accidental injury. Included air filter removes odours and harmful particles in the printer chamber. Maximum print size of 140 x 150 x 140 mm, making it a medium-sized printer. So far so good. But what are the features that really make this printer stand out? The touchscreen LCD means you get a lot of the information right in front of you, rather than having to refer to a manual or video for instructions or help. For example, the intuitive touchscreen gives you instructions on levelling the bed and loading filament, making it ideal for beginners. 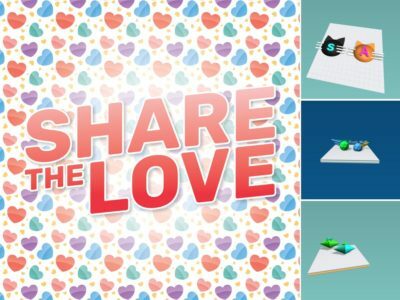 Levelling is super simple and takes only a few minutes, so you’ll be able to get started with printing very quickly. Multiple connection options give you flexibility – you can print via USB memory stick or USB cable, WiFi or Cloud via the PolarCloud. The onboard camera lets you monitor printing progress remotely. So you can be in your classroom teaching while checking on progress with the printer in an entirely different room or even building. You can also display the feed on your interactive whiteboard so students can watch, or check printing progress while off-site/at home. Onboard memory saves previous print files. Filament detection will tell you when the filament has run out (it’s hard to see without opening the printer) so you can top it up to continue a print. The Flashprint software included builds excellent support structures(the struts that support a 3D printed item) that are easy to remove. Reliability. 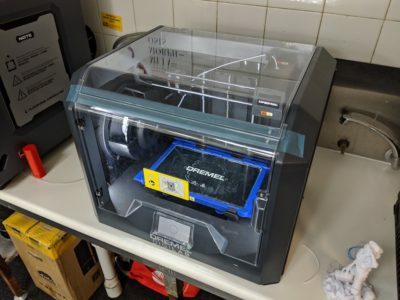 We’ve been testing this printer for about 6 months now and in that time, we’ve only had one issue – a blocked nozzle, which was Luke’s fault as he was testing an experimental filament. Apart from that avoidable incident, it’s been a good and steady workhorse. So there are a lot of positives with this printer. But is there anything that could be improved? The software that comes with the printer can be a little clunky, but it works nonetheless. You will most likely need to update the software to the latest version, but you’ll be prompted to do this. The print speed is slightly slower than something like the UP Mini 2. This is not very noticeable though. The extruder assembly can be difficult to remove to access any clogs or issues. The included filament holder can be difficult to access and interact with. 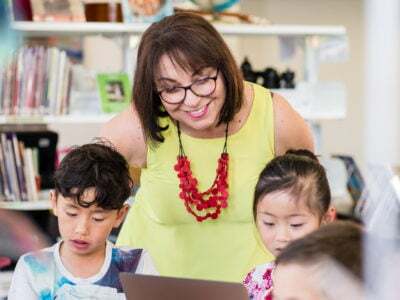 Given all the above positives, the Inventor IIS printer is highly recommended for primary, elementary and middle schools. Our previous go-to printer was the Up Mini 2. With the slightly larger print size, camera, network-cable and Polar Cloud integration we believe the FlashForge Inventor IIS just edges out the Up Mini 2. However, we would still choose the Up Mini 2 over the Inventor IIs if printer portability is important to you. The Inventor IIS printer is one of only two 3D printers that Makers Empire sell. 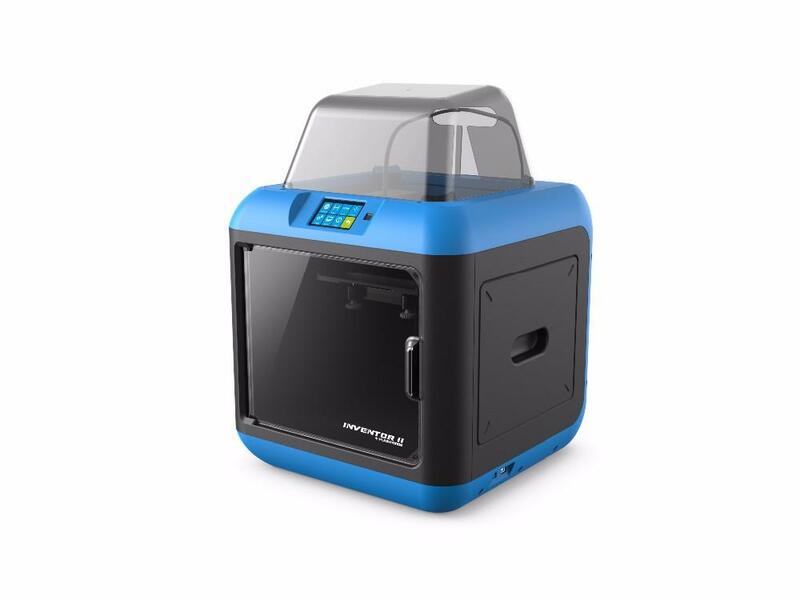 Check out our current 3D printer offers for Australia and the USA.